Finishing powders are like the decorations on a wedding cake – the cake may taste great without them, but with them, the cake becomes sensational. I don’t necessarily use finishing powders every day, but you can bet that if I know my photo is going to be taken, both of these products will be used! Links and images from Sephora. This sets your makeup beautifully – giving you a believable, not too matte finish. Makeup lasts longer, prevents it settling into any fine lines you *might* have, and imperfections are blurred. So this palette is another travel-must for me, and can be used in conjunction with the Make Up Forever powder as well. This is different, however, because it gives more of a luminescent finish. The three shades are perfect for highlighting, bronzing, and contouring. 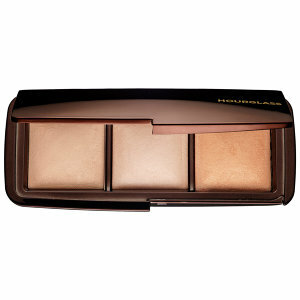 The goal of this palette is to give you a “candlelight glow”… Since OR lights can not really be compared to the glow of candlelight I can’t necessarily tell you if that is the look achieved, but I can say that this gives a very flattering finish to your skin, with or without makeup underneath. This entry was posted in Beauty, Cosmetics by surgeoninkicks. Bookmark the permalink. 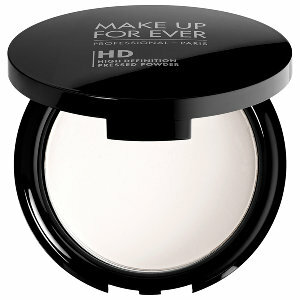 I do LOVE the MUFE finishing powder to set my undereyes. Haven’t tried the hourglass one…need to give that a go. Love this!